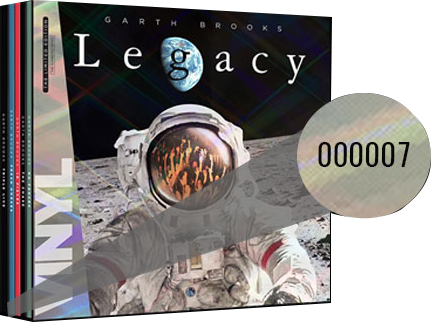 Garth recently announced the opportunity for his fans to personalize their LEGACY COLLECTION with their special 6 digit number or date. When Garth opened up the first window to his “g-mail” chain and his INSIDE STUDIO G viewers, the demand was overwhelming! This special LEGACY COLLECTION with your personalized number will only be available for a limited time. Get notified when the next window opens to get your LEGACY COLLECTION. 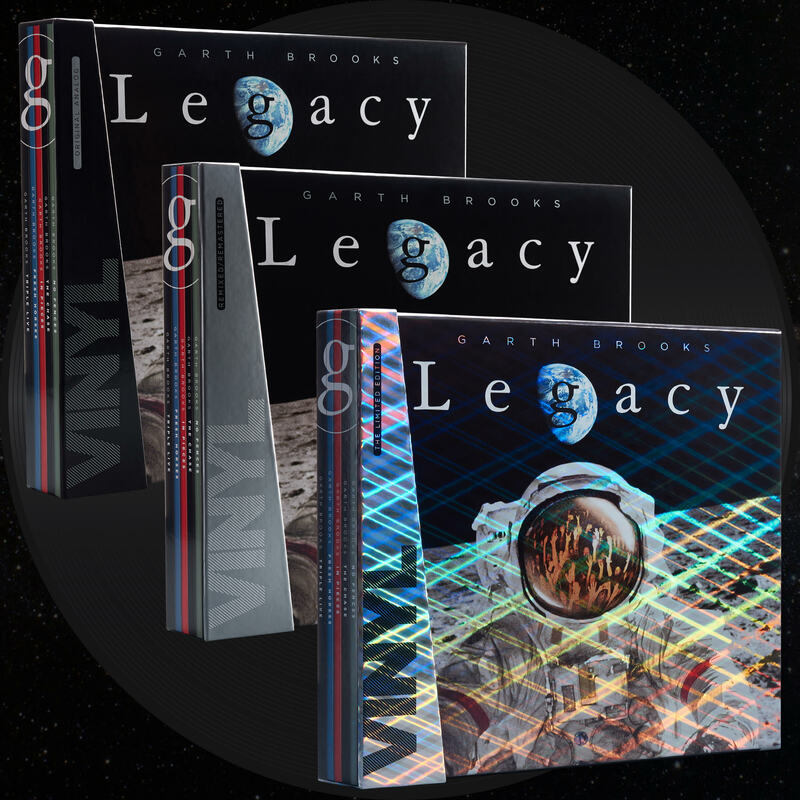 The LEGACY COLLECTION includes 3 boxed sets--The Limited, Original Analog, and Remixed/Remastered Editions. Each box includes 7 vinyl albums and 7 CDs with bonus tracks. Your special 6 digit number will be on each box, making it a one-of-a-kind collection.